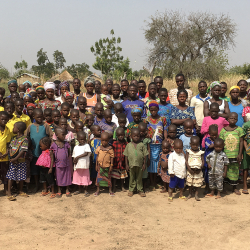 Career missionaries since 1999, first serving the Otammari people of Benin and now serving the Pendjari. 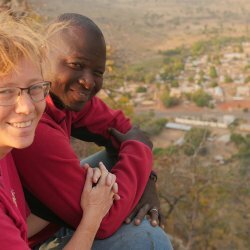 Suzy Baldwin has been working with the Otammari people of Benin, West Africa, since 1999, witnessing to her local town of Natitingou though friendship evangelism, medical care, and health education. 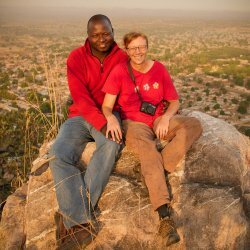 Her partner in the Otammari project is Ulrike Baur. 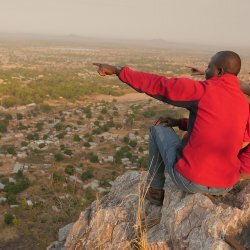 Do you think the mission field is exotic? Try coming back home to the States after a few years of being away! Here are some random memories I have of my recent furlough. The first day, I presented the part of the program that usually gets people to warm up and ask questions. I had made month-by-month life-size cutouts of a fetus. I walked around showing the life-sized cutouts and explained what happens each month of development. “What is something we can’t live without?” I asked the group assembled before me for the health lecture. The responses came, “Air,” “Our Spirits,” “Food.” After each, I responded that that wasn’t what I was looking for. When the boys came for their treatments, they brought a few other neighborhood kids who also had sores. Soon I had more than 10 little patients, morning and evening.